Advantages of Cold-formed Steel (1) - ZhangYun Machinery Manufacturing Co.,Ltd. The cold-formed steel can be selected according to the force characteristics of the component, and give full play to its cross-section interface characteristics, making it more economical and reasonable. Cold-formed steel features superior chemical and physical qualities that give it a broad range of advantages over other framing materials. What are the advantages of cold bending? Steel has the highest strength-- to-- weight ratio of any building material. Moreover, the strength of cold-formed steel also provides architects with greater flexibility, allowing designs that incorporate longer spans and other architectural features. In recent years, with the development of China's steel structure application technology, economical profiles such as cold-formed thin-walled steels have developed rapidly. Compared with conventional rolled profiles, cold-formed thin-walled steels have reasonable distribution of section materials, large radius of gyration, and bending resistance. And torsional performance and other characteristics. It is not like hot-rolled steel to increase the area of the material to increase its bearing capacity, but to improve the bearing capacity and save steel by changing the cross-section shape of the steel. 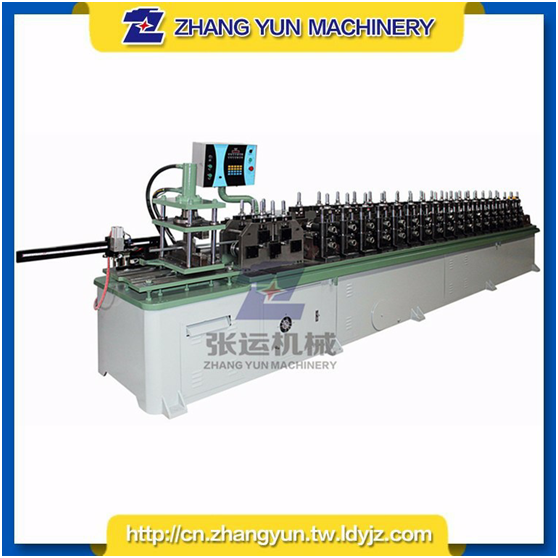 Zhangyun is a professional manufacturer of cold-formed equipment, high-frequency welded pipe equipment, elevator guide auxiliary processing equipment and non-standard automated production line. If you have any doubt about our products, please feel no hesitation to contact Zhangyun.